Most extended discussions about the technology industry and software engineering trade eventually find their way to the topics of worker supply and demand, talent shortages (real or otherwise), and compensation. 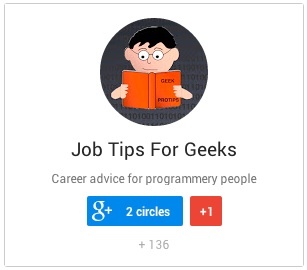 Every Best Jobs of The Year list (examples here or here or here or here) features a Top 10 littered with assorted job titles given to those who code, often including salary data that could cause non-technical readers to regret life decisions. New graduates entering the industry may receive multiple salary offers that dwarf those of non-coding classmates, and after five years on the job it might seem as if there is no limit on future earning potential. What they probably don’t tell you in school or during your first few jobs is that most in the industry will hit a compensation plateau, where increases become smaller and less frequent. Market rate for skills increases with experience, but once a certain level of experience is reached the market rate flattens. 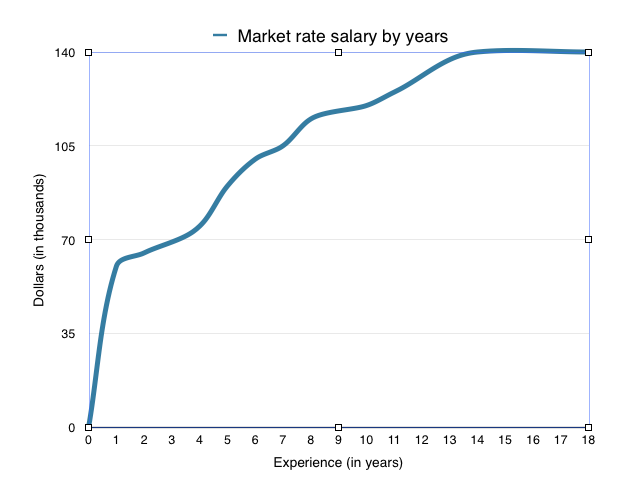 As an example, market rates for developers with 10 years of experience vs 15 years can be indistinguishable. Making lateral moves or even taking a pay cut in exchange for some potential asset (acquire a new skill or experience, equity, etc.) start to become best options. The amount of time it can take to plateau varies. Someone who stays several years at one employer where small raises are standard may take 15 years to plateau, whereas someone changing employers with relative frequency or alternating between consulting and direct hire jobs may plateau early. When you’ve reached the plateau but have some need to earn more, there are a few methods to consider. Move out – The most effective means to more compensation is still to get a job with a different company. This method usually becomes less effective at the plateau than it was earlier on, but there is almost always another company willing to pay at least a bit more. Move up – Gaining more responsibility through an internal move should come with more salary. If the company is top-heavy or there is a line for advancement, moving both up and out may be necessary. Ask – If money is the impetus for considering a change of any kind, why not ask your current employer first? If the answer is ‘no‘ now, they may become more cooperative when you have other offers in hand (not that I’m suggesting counteroffer as a sound strategy). Branding your additional benefits – Professionals with similar accomplishments and years of experience appear homogenous and plateau. In addition to the productivity and ability that comes with years, are there other benefits that an employer receives by hiring you? Candidates with higher public profiles due to community involvement, such as Meetup leaders or conference presenters, may command a higher salary due to the increased visibility or prestige that their hire would provide a company. Candidates that are likely to be followed to a new employer by a loyal network of talent might justify higher prices. Consulting and contracting – Contractors and salaried employees of consulting firms both typically earn above market rate for direct hires. A move to contracting or a consultancy can be a sound strategy for those in traditional non-consulting direct hire jobs, but consultants and contractors will also plateau over time. Moonlighting/revenue streams – Those that have some extra time might consider taking on off-hours remote contract work to increase earnings. Building and monetizing a product may result in additional dollars with minimal long-term time commitments. Specialize – Becoming recognized as a specialist in a niche area may make it easier to command rates above market. Those specializing in the newest technologies may be able to take advantage of the fact that a market rate has not yet been established.